Go watch it now. By any means necessary. Yes, that’s how good it is. First of all if you’re a fan of the Coffee Prince soundtrack, you’ll love this one too. Because Tearliner is all up in this mix. But there’s also Vanilla Acoustic and Saltnpaper. The soundtrack is on iTunes. Love these people. Okay maybe not the funky stank cheese types like that insane she-devil sister, Baek In Ha, who has absolutely no chill. Or that completely maniac walking harassment lawsuit waiting to happen, Young Gon. Or the full of excuses bum of a sunbae. Not them. But the melt in your mouth tasty cheese like the feisty best friend Bo Ra and her cute young lackey Eun Taek. And the lovable but damaged roughneck Baek In Ho. Or Yoo Jung the boyfriend who has everything—money, smarts, good looks and a giant behavioral question mark. Love them all. 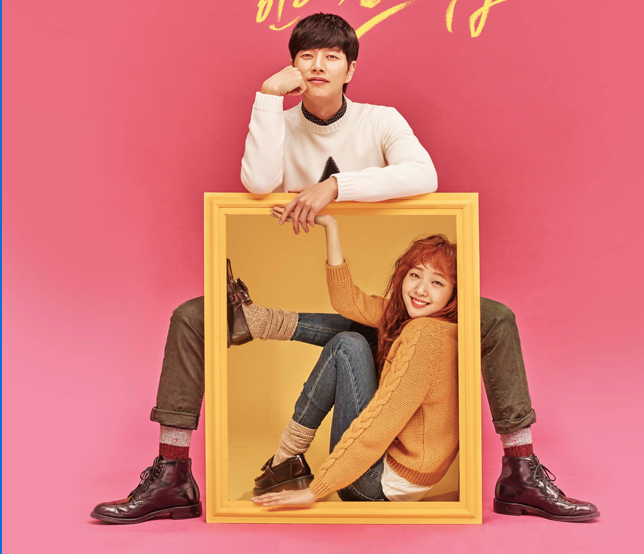 On the surface the plot seems like every k-drama romance: Striver (aka candy girl) and awkward student Hong Seol meets handsome, wealthy and aloof Yoo Jung in college. They dislike each other instantly. A confrontation leads to Jung targeting Seol in sneaky ways, so much so that she considers dropping out of school. Until cold Jung suddenly warms up and starts trying to befriend Seol. Is he sincere or is this just another sinister plan of Jung’s to get revenge on her? Meanwhile Baek In Ho, Jung’s former high school best friend, returns and finds himself falling for Seol and becoming a rival for Jung. Can In Ho get his life together and get the girl? Will Jung give in to his very dark side or will true love lead him to live in the light most often? What will Seol do? Who is the cheese? Who’s really in the trap? If you like shows with a little edge, where people live and operate in shades of gray, paths aren’t clear and white lies sit on the fence between right or wrong, this one’s for you. This show is sharp cheese and there is lots to analyze in it. Fair warning, many viewers catch a case of second lead syndrome. And it gets trickier in later episode thanks to some behind the scenes IRL problems with the actors. Go! What are you waiting for?? BTW the original web comic is on Line and is still in progress.